I had a meeting with F., who works at Sony Music and who is responsible for the back catalogue of The Dutch. He told me there is a Wikipedia page about the band. Didn’t know that! ”When you release your new album, most newspapers and magazines just copy the Wikipedia texts,” he said. “What you could do is claim the page and add relevant content.” Curious, I tapped “The Dutch” on Wikipedia. Sure enough, after I had made the obvious choice between the golf course that has dared to steal our name and the rightful owner of it, the page The Dutch (band) appeared. An introduction, a table with singles and a rather vacant table of all the years since the start of the (Dutch) Top 2000 list. Someone had dutifully added a new blank for This Is Welfare each year; except for 2001, where it said the song reached to 1806 (yes friends, until now This Is Welfare may be our claim to fame, the Top 2000 voters still find let’s say, The Cats 8 times better. Makes you think and shudder). When I clicked the “History” button, I read that our Wikipedia page was created in December 2010 by “Redmar”. After that, it was regularly updated by persons unknown to me, with pseudonyms like “Pmpc1967”, “GeeJee” and “JurriaanH”. After the meeting with F. I decided to follow his advice. The page was in fact far from complete. The three albums that The Dutch had produced were lacking in the discography, as well as a number of singles. So there was room for improvement. And it seemed a good idea that people can read about our revival on Wikipedia. I made a moderator account and called myself “Hans Croon”. Simple as that. No need to hide. Of course I knew that on Wikipedia in principle, it is not done to write about a topic in which you are involved yourself. But to ask a friend to insert the missing disco- and biographical facts seemed a bit ridiculous. Who has more knowledge of the facts than real insiders like Jan, Bert, Klaas and me? So I went to work, still unaware of the obstacle track spread out before me. Amateur. I did not let the html-like user interface of Wikipedia’s content management system discourage me. Between brackets, tildes, parentheses, equals signs and other code I posted interesting facts: that, except Klaas ten Holt, also Frank Ketelaar, Joep Bruinjé and Frans Heessels played guitar in The Dutch at one time; that we played at the great anti-nuclear missiles demonstration in The Hague in 1983; and that after The Dutch we continued to play together in another band named Siobhan. Finally I completed the discography, added a few photos and album covers and placed external links, such as the Dutch Music Encyclopedia. Contented, I inspected the result. The next day Wikipedia’s renowned self-cleaning capacity took action. The cover pictures were removed. A few hours later the entire page was restored to its previous version by one Dinosaur918. Outraged by so much vigour I wrote Dinosaur918 an email. To my surprise he / she responded almost immediately. The pictures were the reason the changes had been refused. Wikipedia has a strict copyright policy: for every image appearing on Wikipedia, there has to be an explicit license from the author. An extensive network of volunteers make sure the rules are not broken. So I collected and sent emails in which the holders gave their permission to publish the material. After two weeks Wikipedia confirmed that it was okay. What followed then was an inimitable circus of moderators, all anxious to change wordings, punctuations and lay-out, and to argue about details. I felt like paralysed in a barber chair while five, six barbers tried to give me a mohawk, a rock ’n roll crest, a bangs haircut, and after all decided I should be bald shaved. When I was actually looking for a Buffoons-like hairdo. Wonder what that is, huh? Who are these people? I imagined an army of greying middle-aged men (like me), with corduroy trousers and pullovers (not like me). Men who spend their free evenings on unpaid digging for Wikipedia instead of falling asleep in front of the tv. I have the deepest respect for these guys (m/f)! I salute Japiobot, Maniago, Erikvanb, Dinosaur918 and all those others. They are the ones who made sure that in just 15 years Wikipedia has referred Encarta (still rings a bell?) and even the Encyclopedia Britannica to the dustbins of history, as they say in Dutch. Wikipedia is quite right to hold on to their strict copyright rule. 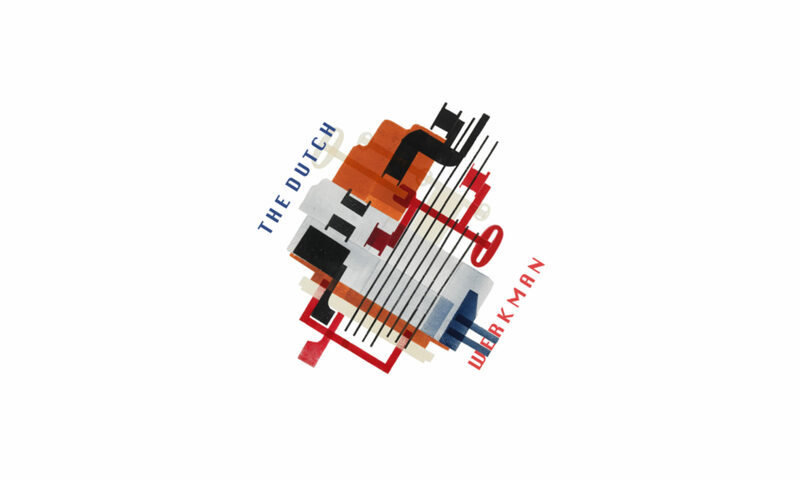 How could JurriaanH and Dinosaur918 know that The Dutch album covers are ours to use freely. But I honestly had no idea that behind the scenes, Wikipedia is like a hermetic tangle of rules, codes, forms and, as a result, thousands of talk pages. Is there a volunteer to produce the English version of The Dutch page? As a matter of fact, maybe I should ask F.